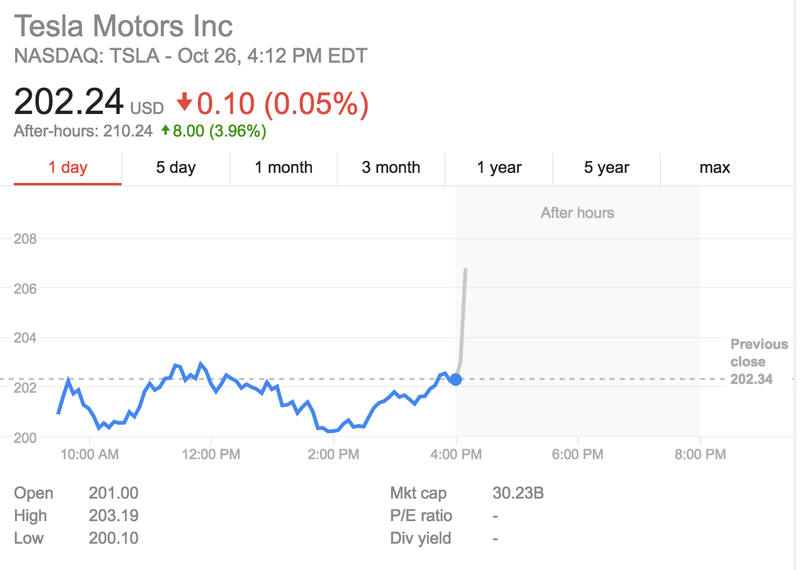 Well, CEO Elon Musk promised a pie in the face of the naysayers on Wall Street and they got it today. After market close today, Tesla released its financial results for the third quarter 2016. Wall street was expecting revenue of $2.43 billion and a slight gain of $0.02 per share for the quarter. Tesla confirmed $2.30 billion in revenue, below expectations, but it also announced a gain of $0.14 per share during the last quarter – a first in 3 years. Tesla had already confirmed having delivered a record number of vehicles during the quarter: 24,500, but as usual, the company updated the number slightly after the end-of-quarter accounting. The official number is now 24,821 vehicles. Tesla opened 17 new stores and service centers during the third quarter to bring the total to 250 locations globally. Model S deliveries grew nearly 60% year over year, increasing its lead status with a 32% share of the top 12 selling large luxury sedans, as Model S unit growth significantly outpaced U.S. large luxury sedan category sales growth. It was reported earlier this month that Tesla was increasing its lead in the luxury segment: Tesla increases its lead on the US luxury sedan market, beating Mercedes, BMW and Audi. Despite what Bob Lutz was saying on CNBC earlier today, Tesla’s Q3 gross margin was 27.7%, up from 21.6% during Q2. That’s without ZEV credits. But to be fair, Tesla managed to turn a profit with ZEV credits. The company unloaded $139 million in ZEV credits during the last quarter. Tesla will be holding a conference call with analysts at 5:30 ET. We will be reporting on the highlights shortly after.